Workplace stress is a serious issue that needs to be managed effectively. Figures from the Health and Safety Executive show that between 2017 and 2018, stress, depression and anxiety accounted for 15.4 million lost working days. However, it is encouraging to see mental health taking prominence in the media and being given the serious attention it deserves. If left unchecked, stress can have a detrimental effect on our physical and mental wellbeing. Mental health is defined as a level of psychological wellbeing or tje absence of mental illness. It includes our emotional, psychological and social wellbeing, which affects how we think, feel and behave. In the modern world, this can see us entering into arguments, being withdrawn, extracting ourselves from situations or even remaining in a situation but being unable to converse or make rational decisions. It is the responsibility of organisations to manage their employees’ stress and uphold positive mental health within the workplace. There is a school of management theory that states: “People leave managers, not companies”. Not only is it expensive to recruit new staff, but organisations can also be liable for huge tribunal claims if they do not get their management right. Training managers is key for two reasons: leadership style, communication and listening skills are fundamentals for staff to understand what is expected of them and engage in open dialogue; a directive, bullying style puts people under pressure and can be a major cause of stress. Training needs to make managers aware of the causes and symptoms of stress. Being able to identify problems early can ensure staff are supported, improving their mental health and reducing the number of sick days they might need. There is a legal requirement to have employment policies that protect workers in place. Getting these policies right and training managers in their use will ensure employees know what is expected of them, where they stand with regards to acceptable behaviours and what they can expect of their managers. A code of conduct is the foundation of a solid workplace culture and, together with employment policies, enables managers and employees to ensure everyone is treated fairly. Giving employees clarity regarding their role, performance and expectations enables leaders to manage their teams effectively, stay on top of their workload and minimise their stress. For employees, having a job description and fully defined duties helps them monitor their progress. For teams to achieve their goals, it is essential that individuals know their personal responsibilities as well as what the whole team is seeking to achieve. This will develop an ethos of trust, support and teamwork, improving productivity and outcomes. Establishing a company culture with a shared vision and values will allow all concerned to flourish. When positive values are maintained from the top down, individuals will know how they can expect to be treated. Undertaking employee feedback and engagement surveys will provide senior leaders with key insights into what staff think and feel. Including questions about how workload, pressure and stress are managed, as well as levels of engagement and feedback on leadership style will also provide key data. This will help organisations make the right changes with a focus on ensuring all areas of the business are performing to the required standards. It is becoming more common for workplaces to support their employees’ mental health by building up their resilience and wellbeing, but there is still more that can be done. It is not simply a question of rebadging health and safety policies, but developing engrained policies that support physical and mental health at all levels within the organisation. As well as offering healthy options in staff canteens and support for gym memberships or onsite exercise facilities, organisations can provide ‘lunch and learn’ sessions and workshops to inform staff on a range of topics. Understanding balanced eating, heart health, how to handle stress and relaxation techniques will help employees to maintain positive mental health. Additionally, having trained mental health counsellors within the workplace encourages employees to talk about issues and resolve difficulties before they become overwhelming. There is much that can be done to boost physical and mental health in the workplace. 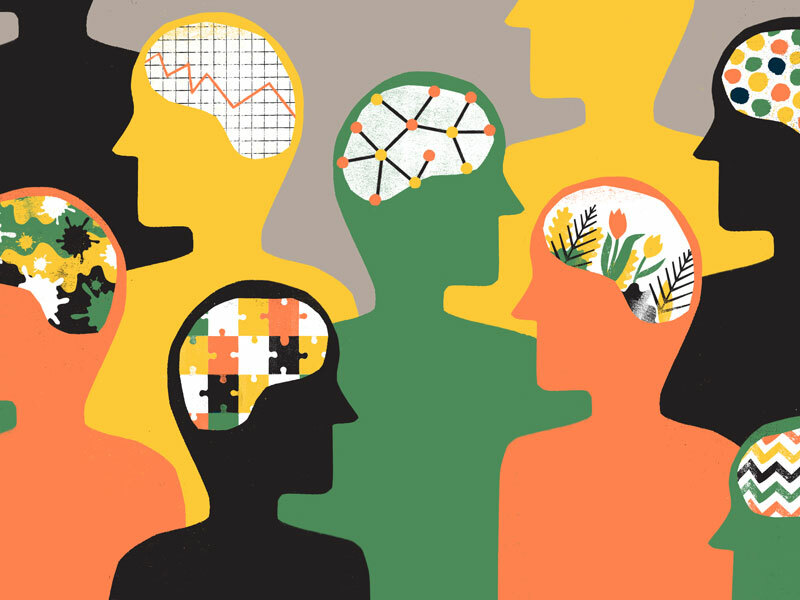 The employers that make genuine strides to care for their employees’ mental health will flourish and reach peak performance.